Having the right door installed in your home or office is a very important decision to make. Having the correct company to install it may be even more important. Our company takes pride in the craftsmanship of each and every door we install to insure the highest level of customer satisfaction possible. 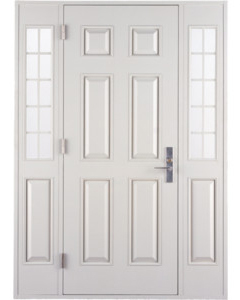 Our company specializes in Residential and Commercial Door Replacement as well as new construction door installation. Our team of professional door installers have the experience, knowledge, and proper training to install your home or office door correctly the first time every time. Our company’s extensive line of door products will give you the ability to find a door that suits your individual needs as well as deliver a package of performance that is unrivaled in the door industry. We strongly believe that our door products will add extra touch as well as special personality to any part of a home or office. Full composite frames with each and every door system. High performance composite jambs for higher impact and water protection. Innovative weep-hole cover and threshold design. 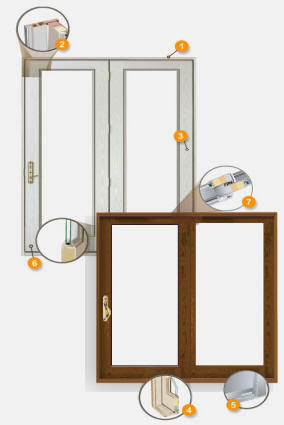 Hinged doors have sweeps with superior weather stripping. The gliding doors have been designed with dual flexible strips.